Ant-Man and the Wasp will be buzzing their way into your homes this October. 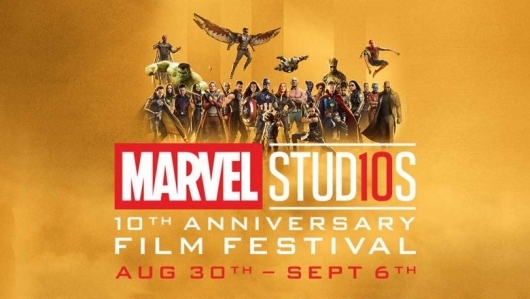 In addition to the film, you will be able to get a handful of bonus features that reveal how the sequel was made and how Marvel Studios is celebrating its 10 year anniversary. Check out the release dates for the digital and Blu-ray releases, along with a list of the bonus features, a trailer, and the cover art below. In Ant-Man and the Wasp, Scott Lang (Paul Rudd) is serving the remaining days of his house arrest in San Francisco as a consequence of his actions in the events of Captain America: Civil War. 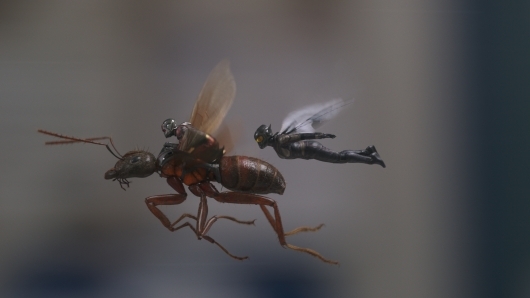 Approached by Hope van Dyne (Evangeline Lilly) and Dr. Hank Pym (Michael Douglas), Lang must once again don the Ant-Man suit and fight alongside the Wasp. The urgent mission soon leads to secret revelations from the past as the dynamic duo finds themselves in an epic battle against a powerful new enemy. We were fortunate enough to sit down with our fellow members of the press to talk about the film with Rudd, Lilly, director Peyton Reed, and Marvel Studios president Kevin Feige. There they talked about writing the script, the logistics of filming a car chase, the film’s themes, and more. Check out what they had to say below. Scott Lang’s (Paul Rudd) life will never be the same after the events of Captain America: Civil War. In Ant-Man and the Wasp, our title hero finds himself in familiar territory, an ex-convict who is trying to live on the straightened arrow. Well, an ex-convict who helped Captain America commit treason. But who remembers those things. Now with a few days of house arrest left, Scott feels like he can live on the straightened arrow. That is, until, he is pulled out of his house by Hope Van Dyne (Evangeline Lilly) and Hank Pym (Michael Douglas). The two bring him a new mission that could potentially rescue Janet Van Dyne (Michelle Pfeiffer) from the Quantum Realm. But it won’t be easy, especially when you got the Ghost (Hannah John-Kamen) and Sonny Burch (Walton Goggins) going after Hank’s tech. We were fortunate enough to sit down with our fellow journalists to talk to director Peyton Reed and Marvel Studios’ president Kevin Feige, along with Rudd, Lilly, John-Kamen, Douglas, and Laurence Fishburne about the film, its place within the Marvel Cinematic Universe, villainy, and more. Check out what they had to say below. 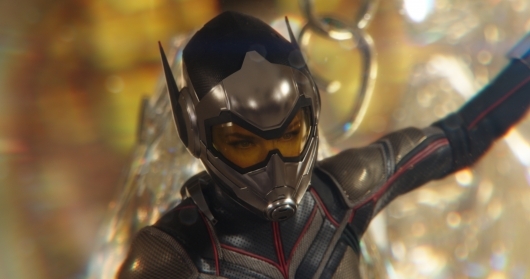 Marvel Studios has released the second trailer for Ant-Man and the Wasp. 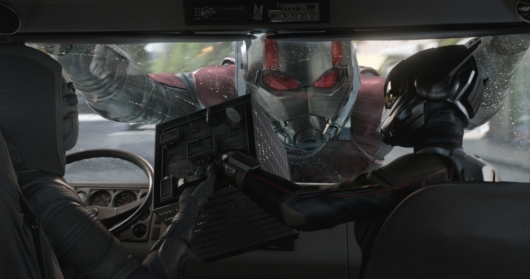 The film follows the Scott Lang (Paul Rudd) as he re-assumes the title heroic role. Forced to deal with the consequences of his actions in Captain America: Civil War, Scott struggles to balance his life of being a superhero and a father. 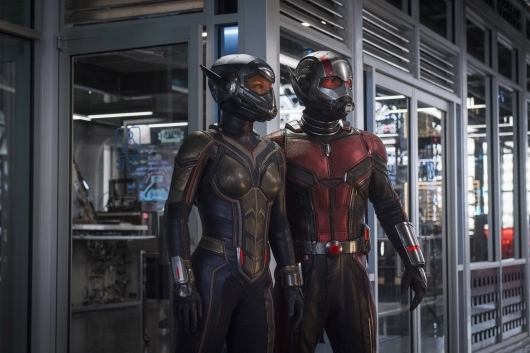 He is then confronted by Hope van Dyne (Evangeline Lilly) and Dr. Hank Pym (Michael Douglas) with an urgent new mission. But this mission comes with a whole new set of dangers that include a new enemy called the Ghost (Hannah John-Kamen). Check out the latest trailer for the film, below. 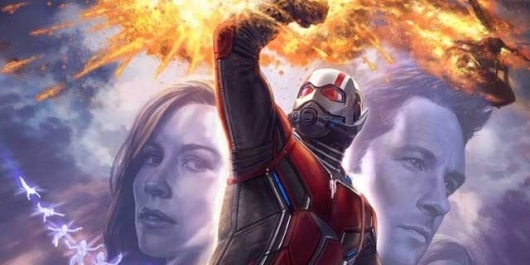 Marvel Studios has released the first teaser trailer for the sequel to 2015’s Ant-Man, which is titled Ant-Man and the Wasp. The sequel is once again directed by Peyton Reed, and stars Paul Rudd, Evangeline Lilly, Michael Pena, Walton Goggins, Bobby Cannavale, Judy Greer, Tip “T.I.” Harris, David Dastmalchian, Hannah John Kamen, Abby Ryder-Fortson, Randall Park, Michelle Pfeiffer, Laurence Fishburne, and Michael Douglas It will be released in theaters on July 6th. Continue below for more on the movie and to check out the teaser trailer as well as a newly released poster.